The 30-year-old performer also shared details about their happy relationship. Shortly after introducing his new girlfriend, Joann Santiago, Gab Valenciano took to his Instagram Stories to share details about their relationship, particularly on the hurdles they had to face early on. “When Jo and I met, we instantly connected. For the first time, I stopped looking for a companion and boom, we found each other. Here’s the thing, we started dating and things got deeper. When I left like it was deep enough to get hurt, I walked away for a week. It was tough and confusing, because my heart wanted her but my mind said no,” revealed the 30-year-old performer. Thanks to Joann’s “efforts to make things right,” Gab realized that he needed to take a risk – to choose love over his fears. 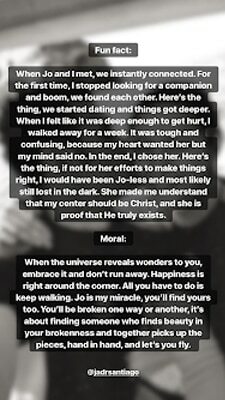 “She made me understand that my center should be Christ, and she is proof that He truly exists. Moral [of the story is] when the universe reveals wonders to you, embrace it and don’t run away. Happiness is right around the corner. All you have to do is keep walking. 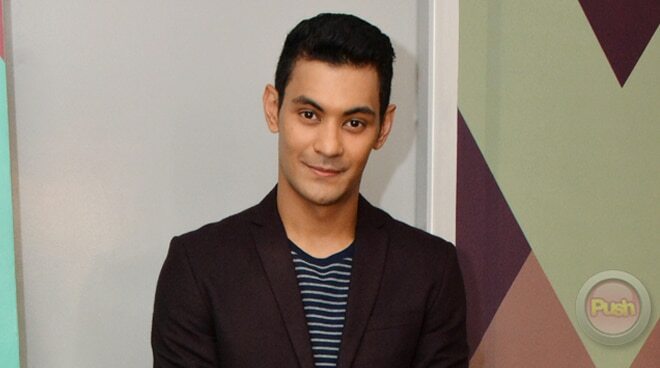 “Jo is my miracle, you’ll find yours too,” wrote Gab to his followers. Prior to finding love anew, Gary Valenciano’s son was divorced to blogger and entrepreneur Tricia Centenera, about two years since they tied the knot in the U.S. Like Gab, she, too, is happily committed to her now-husband, real estate developer Duane Santos.